Wednesday we had planned a downwinder from Pere Marquette to North Beach. While at work I was checking the wind speed and webcams and watching those lucky enough to be out kiteboarding during the day. By the time I got out of work the wind was on it’s way down so Jetty and I gave up on the idea of a downwinder. The sun was out and there was enough wind for the big kites so we decided to give Muskegon Harbor a try. There was a great sunset last night and before packing it in we took a few pics and some video. 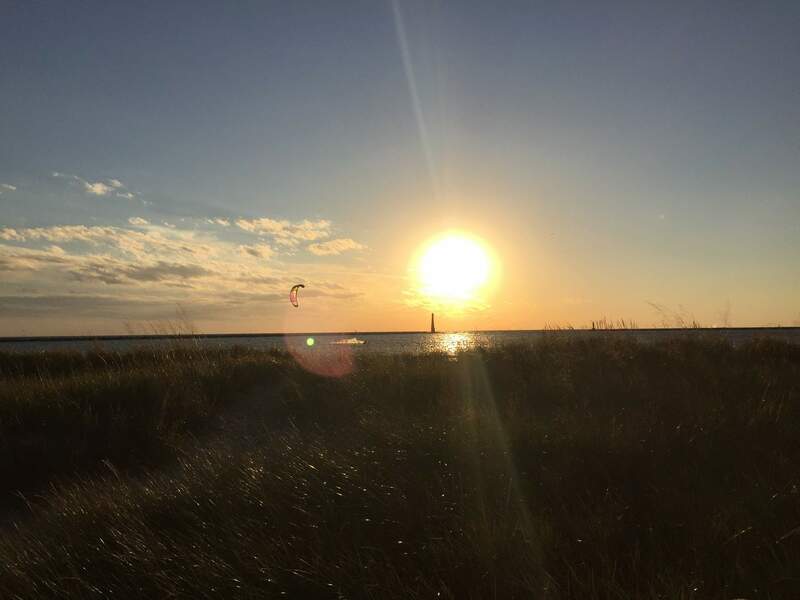 Muskegon Harbor Lightwind Sunset Sesh from Michigan Dawn Patrol on Vimeo.